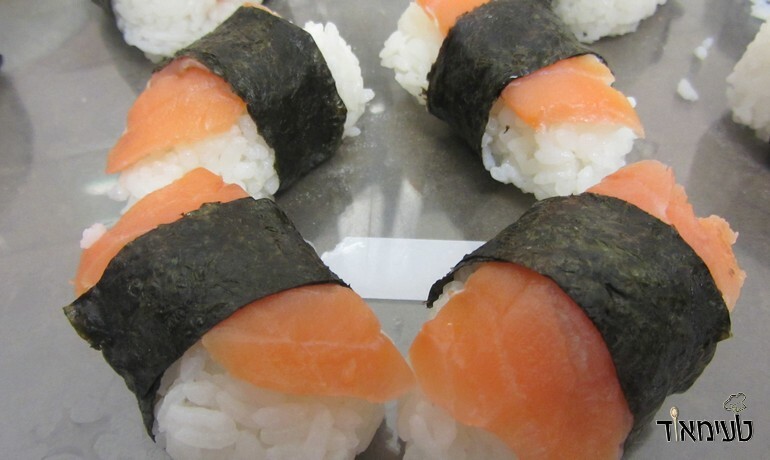 Nigiri sushi is the easiest type of sushi to make. 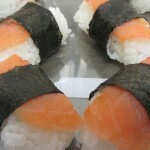 Easier than preparing sandwich sushi, easier then preparing regular sushi rolls and is considered prestigious because it looks good and unique. 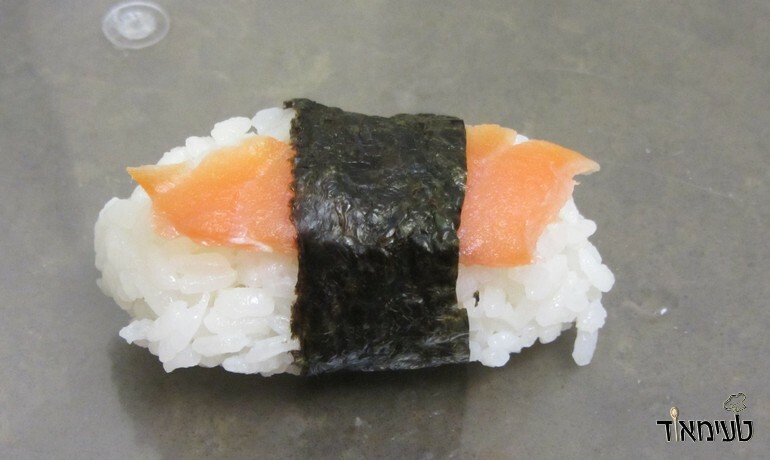 Nigiri ("hold" in the original language) is a rice patty with smoked salmon on it or fresh salmon or avocado slices or Tamago (Japanese Omelet) - wrapped in nori seaweed strip. Easy, simple and impressive! Prepare rice according to the instructions. 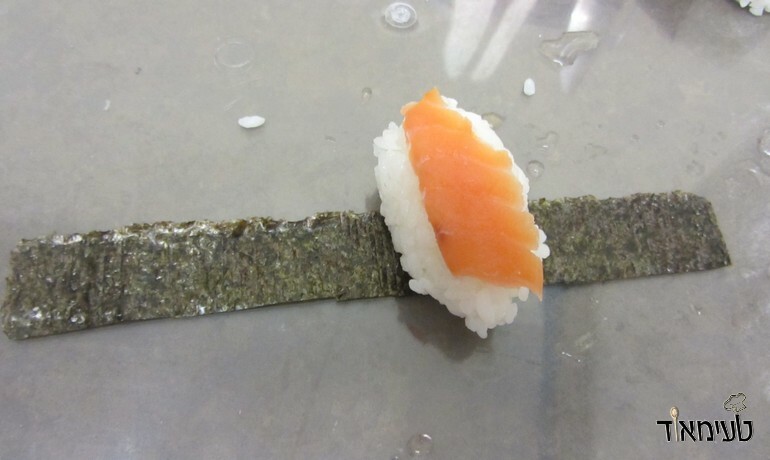 Take nori seaweed - and cut (with a knife or scissors) into strips one centimeter thick. 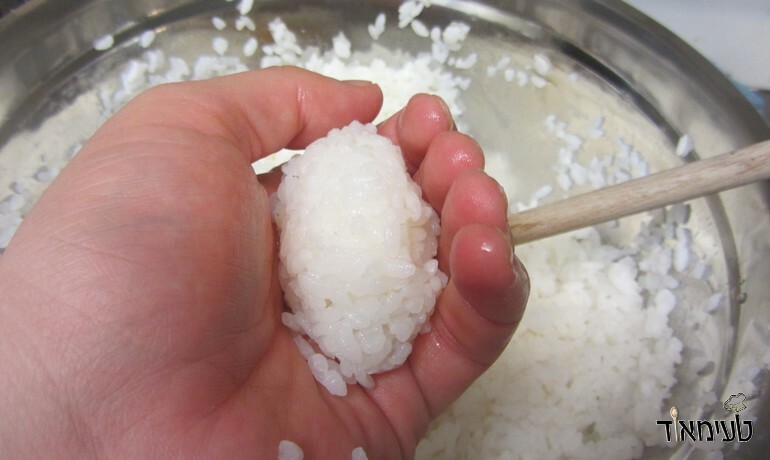 With wet hands take a handful of rice and roll out a long "meatball" type line of rice. Place the patty on a strip of seaweed (the rough side of seaweed on top). Wet the seaweed with a little water (dip a finger into a bowl and spread on seaweed) - Close the seaweed on the rice and the chosen extra. Serve with spicy mayonnaise, sweet chili, soya sauce and enjoy!